The theme for the month of January is FAMILY. 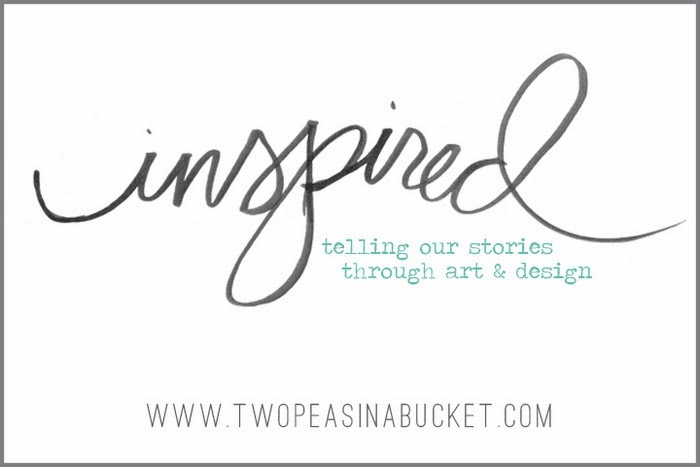 And my video is all about being INSPIRED - the projects we create because we want to make art or to try a new technique, emphasize color and texture, etc. Right up my alley! Description: Scrapping about my family is one of the easiest things to scrap about because it's what I take the most pictures of! I love our little unit! Since my topic was "Inspired" - all about art & design - I found an image of a quilt on Pinterest that I wanted to try and replicate with paper. 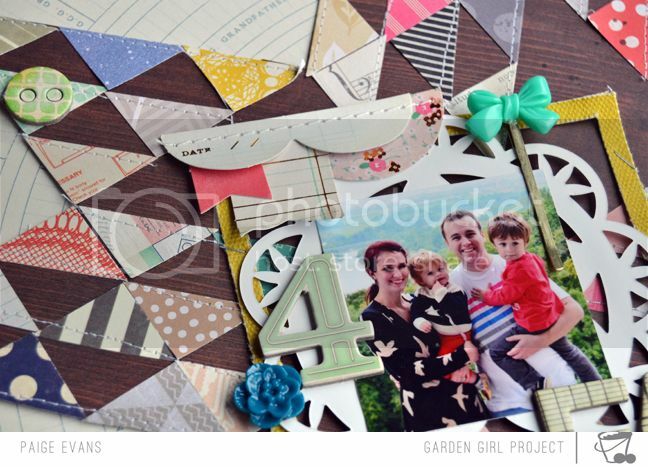 I do love a good quilt-inspired layout! From the lovely January moodboard I pulled colored 6x6 papers from the Crate Paper "Close Knit", Crate Paper "Flea Market by Maggie Holmes", and American Crafts "Cut & Paste by Amy Tangerine" collections. I also used one of my favorite go-to tools: a square punch. After gathering everything together it was a snap to punch, trim, arrange, and embellish! Journaling says: On Saturday the 21st we went on another adventure to Walhalla Memorial. There's nowhere else I'd rather be and no one else I'd rather be with than here with my own family! Written how to: Punch two 1" squares from each of your chosen patterned papers then trim them all in half to make triangles. Using a quilt as inspiration, find the center of a brown woodgrain paper and begin placing the triangles like the quilt design. I had to cut out a few rows of the quilt in order to make a full star shape on my layout. 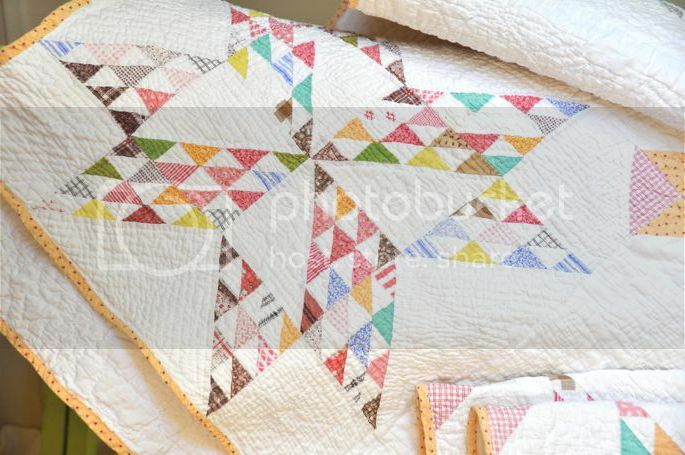 Sew down each row of triangles to attach them in place permanently. Cut out the design then adhere it on a patterned paper background - I used the paper called "Memories" from the Close Knit line by Crate Paper. I love that it has words of family members all around it to tie in with the family theme. Staple a photo frame to the center. Die cut a doily from white cardstock, place it in the frame, and top it with a photo. Embellish around the photo with a bow hairpin, resin flower, chipboard number and letters, and a stitched border. Stamp the date on a label sticker and tuck it under the photo. 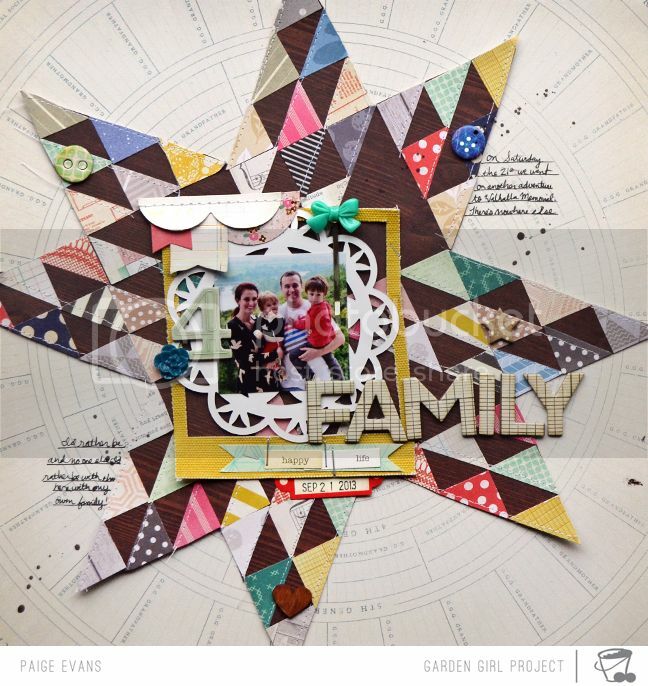 Add chipboard buttons, a chipboard star, and a wood veneer heart to the star. Draw lines and journal on the top right and bottom left sides of the star. Drop brown spray mist over the journaling to finish. I'm already looking forward to February! This is gorgeous!! I loveeee that quilt pattern you created!!! 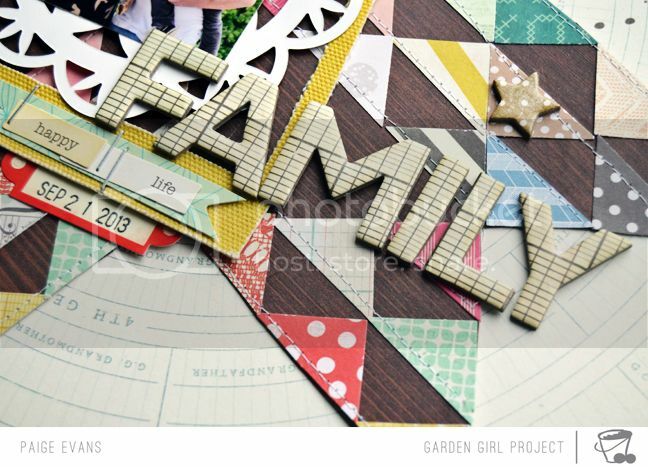 I love love love what you do with paper but I've always wondered with the small pieces you work with how do you keep your collections together and the smaller scraps together! Thanks so much! You always do suchfun work Paige. On the tiny attacher...can you see the staples when you use it? Lyne - Yes you can see the staples, if you look for them :) They're not very noticeable unless you did a whole bunch in one spot or something! 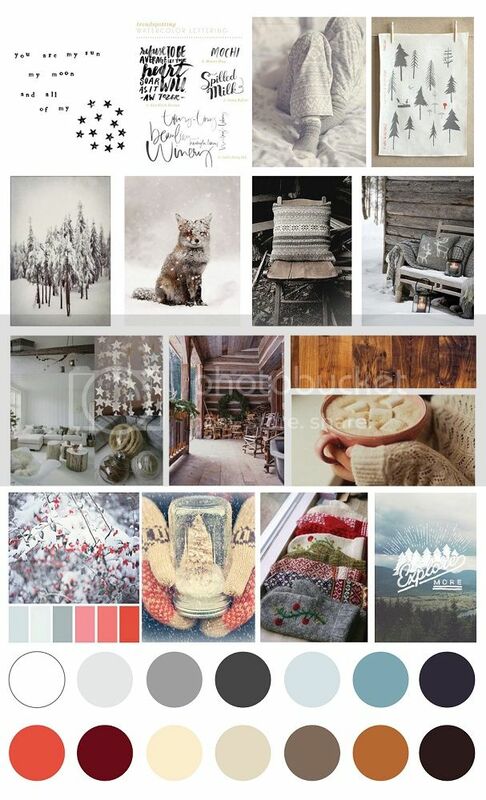 I was just wondering where the mood boards are that you used? I can't seem to find them on two peas?